NOTE - I saw lots of cameras out there but no pictures are surfacing on the facebooker/picasa/flickr besides Brent's. Where are they? Or am I just spoiled? 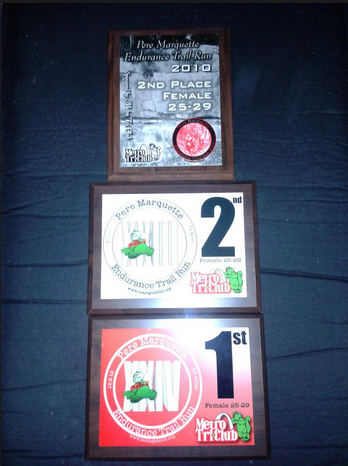 This year was my fourth go at the Pere Marquette Endurance Trail Run (PMETR). 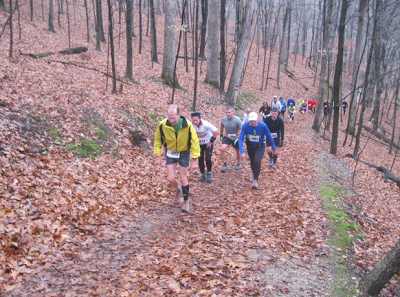 As I mentioned last year, it's somewhat of an unofficial STL championship of trail running. It's a REALLY HARD 7.5+ mile route. In 2009, my first year, I remember looking at the winning women's times and thinking...really? The winner went 8:13/mi pace? I totally got this. Uh....yeah....that year I finished in 1:24, good for 11:12/mi pace. See what I mean? PERE MARQUETTE IS REALLY HARD. So. 2012. How to describe? Pre-race I had some goals that I didn't share with anyone (not that anyone asked, which is a good thing). After two years of being second in my age group, I wanted to finally win the darn thing. And, I wanted to improve on my time from last year which was 1:07 low. I knew this was going be hard since 2011 featured lightning fast trails, and I had somewhat of a breakthrough performance (11 minute improvement from 2010). Let me embark on a side note here about race goals. They are a tricky thing, but especially so in trail running because the trail conditions have a huge effect on the results. I could be at peak fitness but a heavy rainstorm the night before could turn Pere Marquette's trails into a snotfest of mud and leaves. Those are slow conditions. So what can we use instead to judge performance? Final ranking/placings aren't very good metrics either. You can't control a) who is able to register for a race that sells out in 30 minutes, or b) who shows up healthy. So taking these two things into consideration...yes I still make goals. But I am willing to look at them under the lens of race day conditions and race day roster. Anyway, back to the race report itself. I leave my house about 15 minutes behind schedule so when I get to Pere Marquette State Park I have to rush through pre-race prep. Park car. Get race number. Get shirt. Change clothes. Find water. Go warm up. I've gotten to know quite a few people at this race so it's hard to execute all of these things without getting drawn into well-meaning conversations. So to those I spoke with briefly before the start of the race: I apologize for cutting things short. I had several things on my mind. We are still friends. I see fellow SLOC member Eric just as I'm beginning my warm up and am actually grateful for this chance at conversation - I want a trail report, and to confirm my shoe and clothing choice with him since he's just returning from a jog. We agree my Salomon Speedcross 3s are appropriate for the slick conditions, shorts and a t-shirt are good choices, and the trails are wet and muddy but not peanut-buttery. OK. Time to go find out for myself - I jog part of the first climb. My HR is higher than I'd like it to be but since I'm not planning on using that for pacing today, I just start ignoring it now instead of later. My legs feel good and the trail isn't as bad as I expected with the overnight rain and fog, but it's still going to be slick. 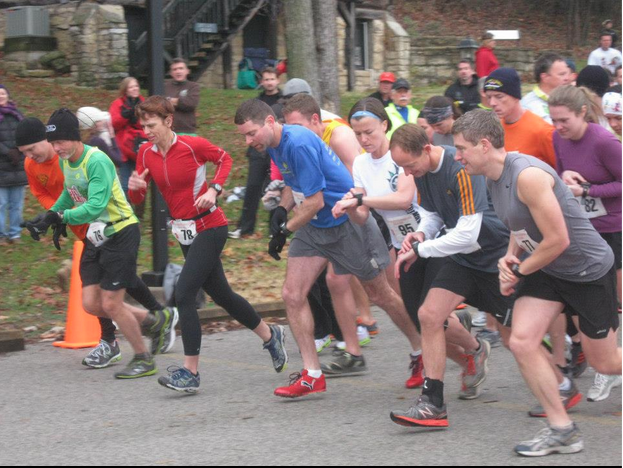 The only picture proof I have of racing...can you even spot me? Photo by Brent Newman. To avoid a bottleneck at the trail entrance, Pere Marquette seeds its runners and sends them off in waves of 20. Last year I had the unexpected privilege of starting in Wave 1 with the top women (Wave 0 is top men). This year, I have been placed in Wave 3. To be honest, I'm a tiny bit miffed at this, but there really isn't that much difference between the two waves for trail conditions. I just tell myself I'll need to earn my way back up to Wave 1. I strip down to running shorts and a t-shirt and join my wave with about 1 minute before our start. Mike counts us down and we go! I let my legs loose and they start churning up the first climb...350' gained in just over 1 mile. It's a rough one, and two girls in my wave pass me: pink shorts (Katie) and high pony (Janet). I let them go (after assigning race names) because my strengths are pacing and downhill running, both of which are not important in the race just yet. Much like the 5k, I try to run the first two miles at an uncomfortable but not crazy pace. On the downhills is where I let things rip. High pony starts to come back to me about mile 3 I think. I'm able to pass her where a tree has fallen across the trail. Just after passing high pony, I start to have some doubts. Do I have the strength to chase down pink shorts? What about 1:05? You're not even half-way there yet! I'm already breathing pretty raggedly and snot is flying everywhere. Negative thoughts creep through my brain. I start to get scared. But, almost as soon as the bad stuff enters my mind, I remember some words that we start every Monday night yoga class with. I can't quote directly but it's something like "acknowledge thoughts from your day but then release them and focus on your practice now". So I acknowledge. I feel my burning legs and bursting heart. And then I release those feelings and focus on running fast. One of the few photos that captures PMETR's steep terrain. Photo by Brent Newman. At the base of the second climb, I see a beautiful sight: pink shorts. She has been out of my vision since passing me early and I can't really believe that I'm about to pass her back. But there's just one problem - we're at the base of a climb and that is my weakness. So I decide to try to keep her pace on the up. It's really difficult. My breathing gets loud and all of a sudden I have another yoga moment: ujjayi breath. We learned this at class last week and my breathing now reminds me of the sensation - making the sound of the ocean with my breath and sending it deep into my belly. I breathe ujjayi style for all of climb #2, gaining 250' in a half-mile. I emerge over the top still within a few seconds of pink shorts. 2.5 miles, two descents, and one climb left. Game on. I rip the next descent. I pass a lot of people, many of whom I've been yo-yo-ing with all race. By now we're friends and they make comments like "nice downhilling" and "see you on the next climb". It's awesome. I learn that one of them has been a participant in every single running of PMETR so far. He's in a Team Godzilla shirt and as I pass him he says he's been blessed to run so much. I hold onto that positive thought add it to the cheers from spectators as we approach the base of the last climb. I am leading pink shorts at the road crossing and she is still behind me as we hit the stone steps. 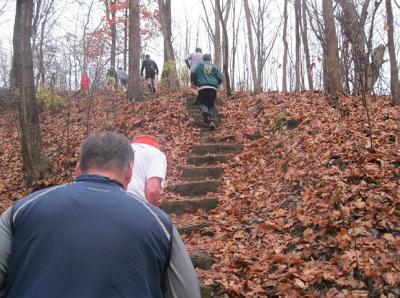 I have a race-crazy thought pop in my head and I say it out loud: "Let's rock these steps!" No one is laughing. I go back to my ujjayi breathing. 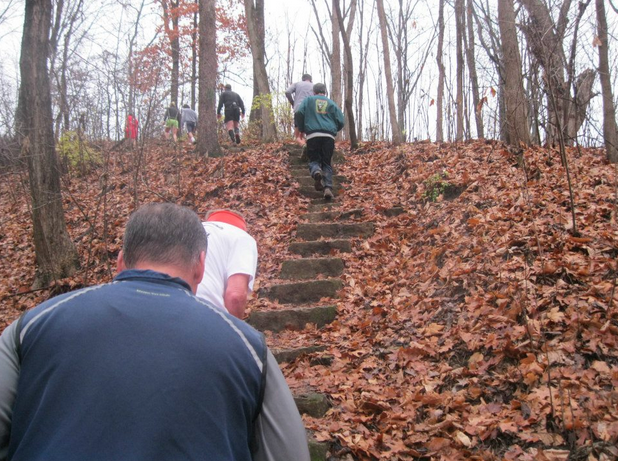 The stone steps, about mile 6.5. Photo by Brent Newman. Pink shorts passes me after the stone steps and I do my best to hang with her. Because Pere Marquette ends on a downhill, I always feel like I have an ace up my sleeve at this point in the race. I am excited to be locked into this duel and ready to give it my all once the trail hits the out-n-back section of the race. 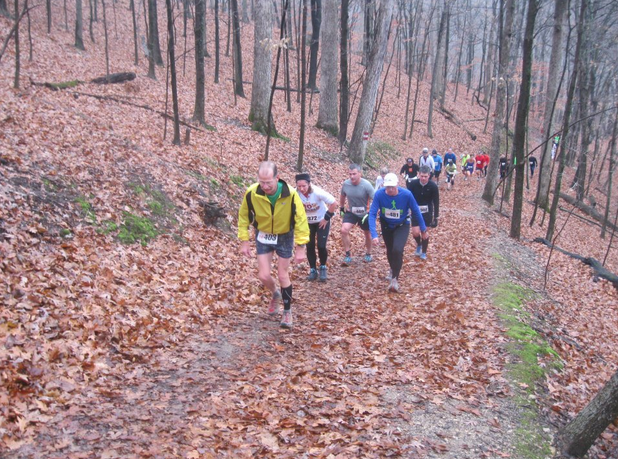 600+ runners have turned the formerly-just-slick trail into a genuine slopfest. 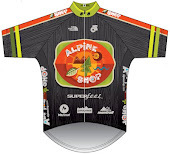 This my last chance to get a gap on pink shorts before the flat finish line sprint. I send a prayer to the Salomon gods and throw myself down the hill. I'm flying. Really. It's exhilarating and scary and in-the-moment. This is RACING. I don't dare look back even once I get to the flat. There are still about 400 meters left in this race and pink shorts has excelled so far when the trail is flat. I see Eric jogging backwards on the route cheering, and he yells at me to GOOOOOOOO!!!! I try and then pink shorts comes sprinting past me. There isn't even a half-second for me to latch onto her hip and gut it out. She wins by 2 seconds. But we both run 1:05 for 4th and 5th place overall female. I can't even bear to ask her age so I look it up once I'm back in the lodge. She's 24. RELIEF!!! I have never gotten so many facebook likes on a picture before. I'm really happy emotionally but my legs are a complete wreck. I grab some cookies from the buffet (seriously, there's like 100 different kinds, each one delicious), throw on some extra layers, and head out for a cool-down shuffle. I feel a little better when I return to the lodge and check the results again - no one from a later wave has run faster than expected. 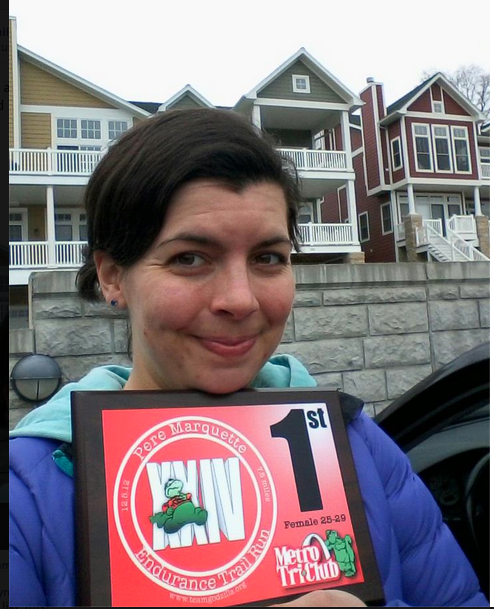 I hold onto my 5th place overall and age group win. I'm completely stoked to bring home the 1st place AG plaque. It will have good company on my shelf with two other 2nd place AG awards. A friend posted some pictures on Google+...I'll look to see if you're in any of them. Woooooot!! You are one rad chica. I got to see you on the downhills and you were flying!! Are you looking at 1:03 next year? The Spypoint infrared cameras and Stealth Cam Prowler HD trail cameras feature a Stealth IR system which uses a series of high power infra red LED emitters to illuminate the subject some distance in front of the camera.